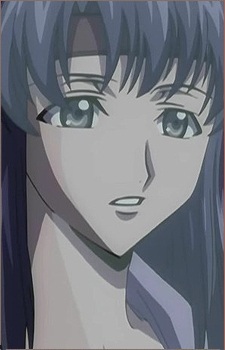 Inoue is a woman with mid-length, blue hair, who was formerly a member of Naoto Kozuki's resistance team, (and the only other female besides Kallen Kozuki in the group) before joining the Black Knights. She is a commander who provides logistical support. During the Black Rebellion, she is killed when the upper-half of her Burai is destroyed.